The Sender's Time Zone plug-in for Microsoft Outlook displays the sender's current time when you read or reply to an Outlook e-mail message. The add-in's pane is built-in into the Outlook message window, no setting and no configuring is required. See a timestamp of a sender When you reply or open a message, you'll see local time of the sender, sender's time zone, and date and time of sending. Tweak the displayed time for certain senders You can set the right time zone for a certain person and from now on the add-in will show the correct information. What is Sender's Time Zone and what do I need it for? 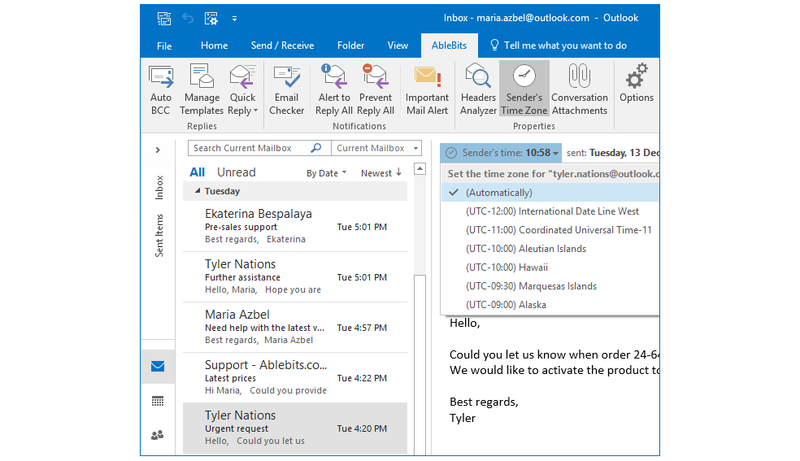 Sender's Time Zone is a plug-in for Microsoft Outlook that displays the sender's current time when you read or reply to an Outlook e-mail message. You will see local time of the sender, sender's time zone, and time and date of sending a message. This tool will be a real helper if you often converse with people in different countries. There's no need to calculate the current time of the sender in your head anymore. How to install and use the tool? This handy little plug-in for Outlook will take just a few minutes to install, you won't need to configure anything. 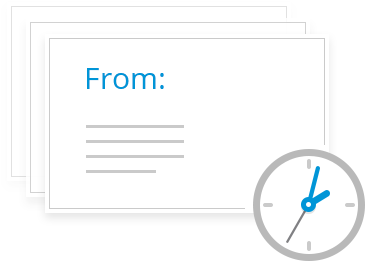 You simply open an e-mail message and besides the standard Outlook timestamp, you will see the sender's current time, and the time and date when the message was sent. What if a message was sent through Exchange Server and a wrong timestamp is displayed? No problem. It is true, that if a message goes through Exchange Server, you will see the server time instead of the sender's time. In such cases, you can quickly set the right time zone for a particular person and from now on the add-in will show the correct information.